Indian Takeaway Lanzarote | Indian Takeaway Playa Blanca | Indian Takeaway Puerto del Carmen | Indian Takeaway Costa Teguise | Indian Takeaway Playa Honda | Indian Takeaway Arrecife | Indian Takeaway Puerto Calero | Indian Takeaway Yaiza| Indian Takeaway Tias | Indian Takeaway San Bartolome | Indian Takeaway Haria | Indian Takeaway Arrieta | Indian Takeaway Playa Honda | Indian Takeaway Tinajo . Biryani & Rices There are 12 products to choose from. Takeaway Lanzarote - Restaurants Playa Blanca Rice tempered with herbs and spices. Takeaway Lanzarote - Restaurants Playa Blanca Garden peas cooked with pulav rice. 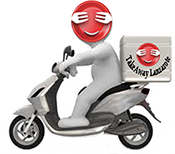 Takeaway Lanzarote - Restaurants Playa Blanca Cumin flavoured Pulav rice. Takeaway Lanzarote - Restaurants Playa Blanca An assortment of vegetables tempered with herbs and spices cooked in Basmati rice. Takeaway Lanzarote - Restaurants Playa Blanca A traditional region "Lucknow" northern part of India, famous for Aavad Biriyanis chicken, treated with herbs and spices simmered with Basmati rice. Takeaway Lanzarote - Restaurants Playa Blanca The name resembles from Southern part famous for Biriyanis.Tender lamb marinated with herbs and spices, cooked along with basmati rice. Takeaway Lanzarote - Restaurants Playa Blanca Prawn marinated with herbs and spices simmered with basmati rice cooked to perfection. Takeaway Lanzarote - Restaurants Playa Blanca King prawns marinated with herbs and spices simmered with basmati rice cooked to perfection.